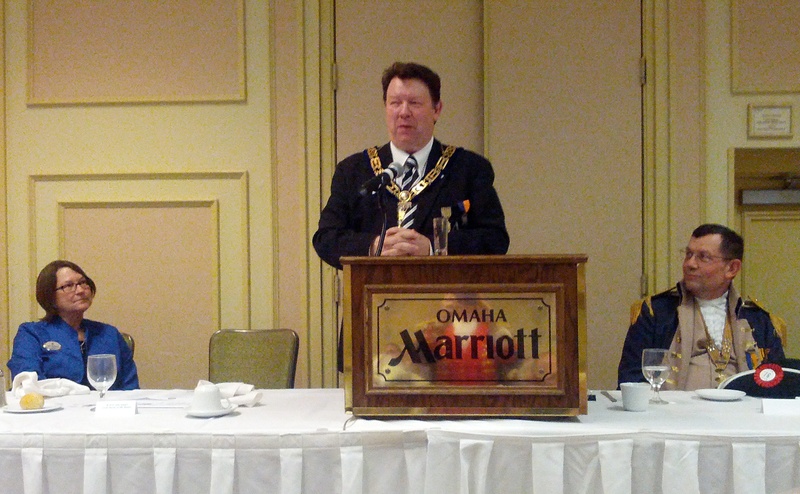 Omaha Lodge No. 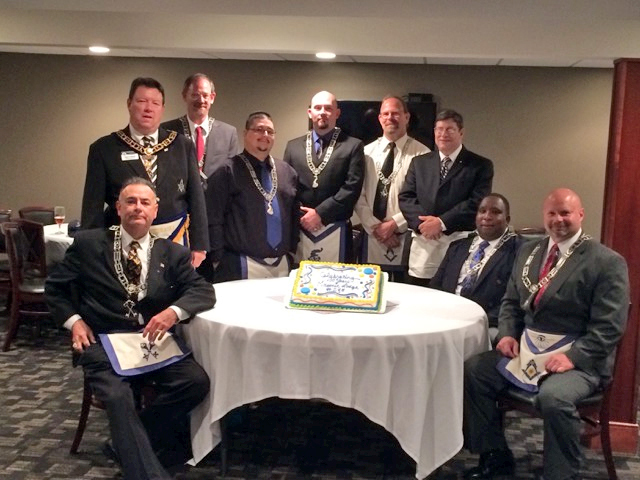 288 celebrated their 100th Anniversary with the Grand Lodge performing a Lodge re-dedication. The event was followed by a light lunch with cake. The lodge was chartered on June 8, 1915. Pawnee Lodge No. 23 in Pawnee City held their annual steak fry on June 28. Worshipful Master Ed Raper cooked all of the steaks and the Eastern Star Chapter provided the side dishes. 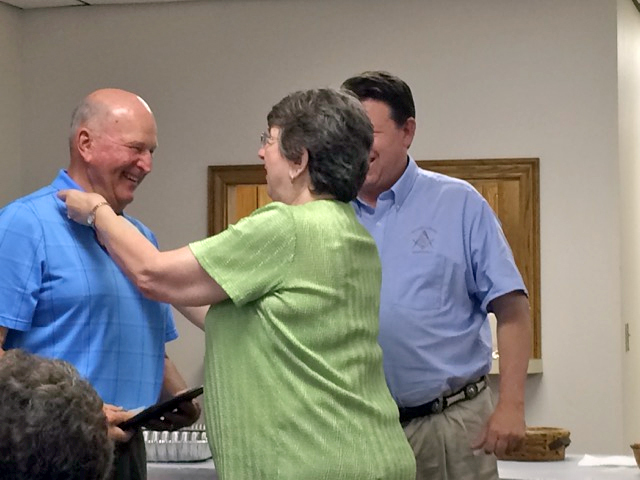 Brother Samuel Smith was presented with his 50-year membership award at the steak fry. 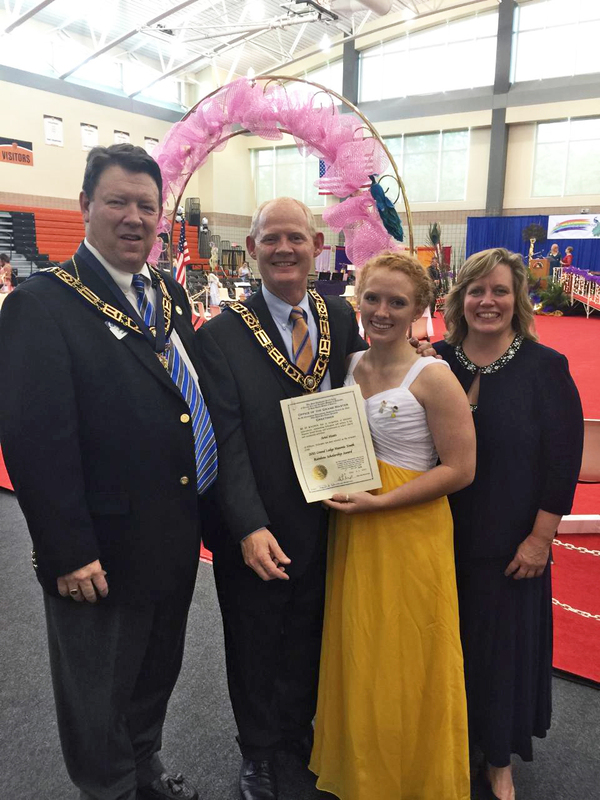 Ariel Moats received the Rainbow Girls Masonic Youth Scholarship at Grand Assembly on June 13 in Crete. 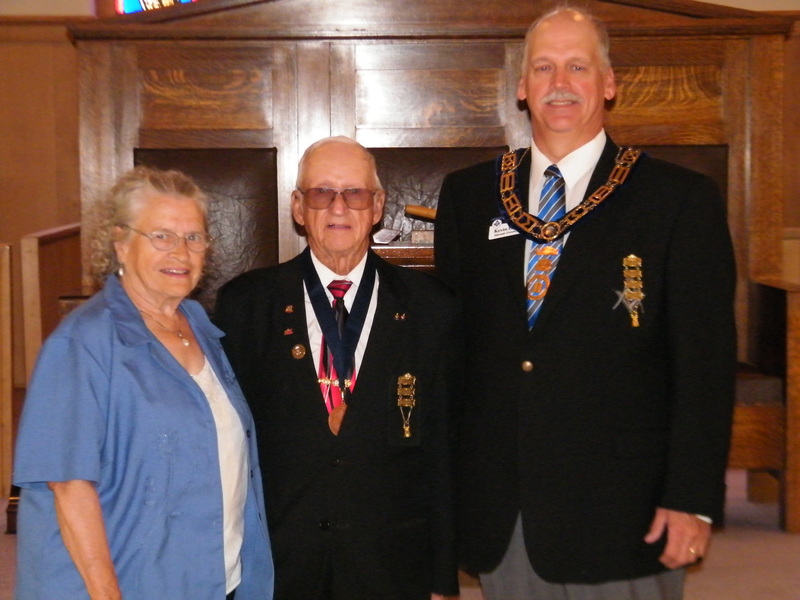 Grand Master John Maxell was on hand for the presentation, along with Ariel’s dad, Past Grand Master Rex Moats, and her mom Diane. Congratulations Ariel and good luck in college! 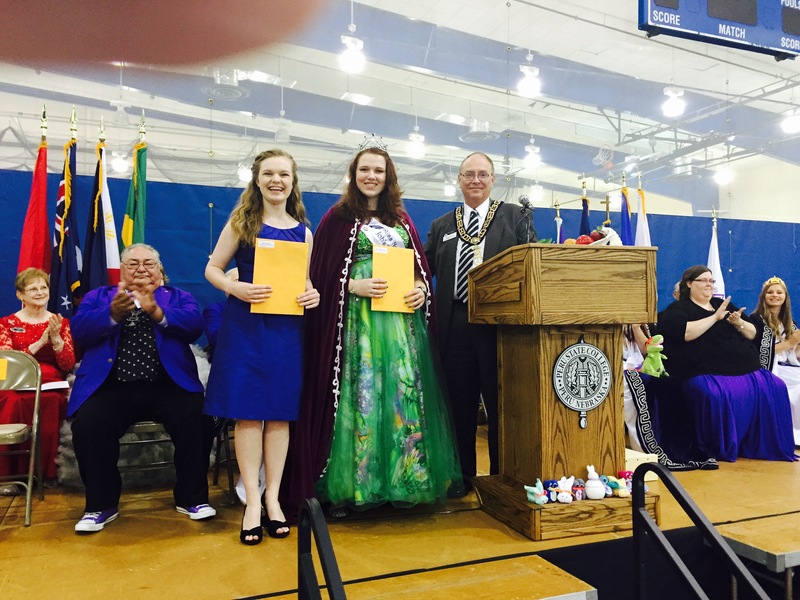 Grand Senior Warden Rick Myers presented Emick Scholarships to Job’s Daughters Samantha, Savannah, and Abigail at Grand Bethel on June 18 at Peru State College. R.W. 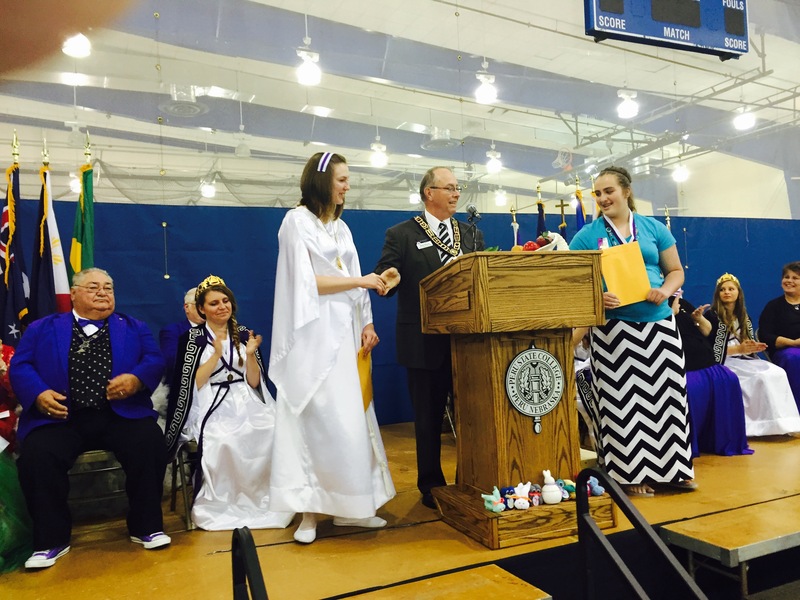 Myers also presented the Grand Master’s Masonic Youth Scholarship to Sarah and the Job’s Daughters Masonic Youth scholarship to Allegra. Congratulations to these hard working Jobies as they embark on or continue in their college studies! 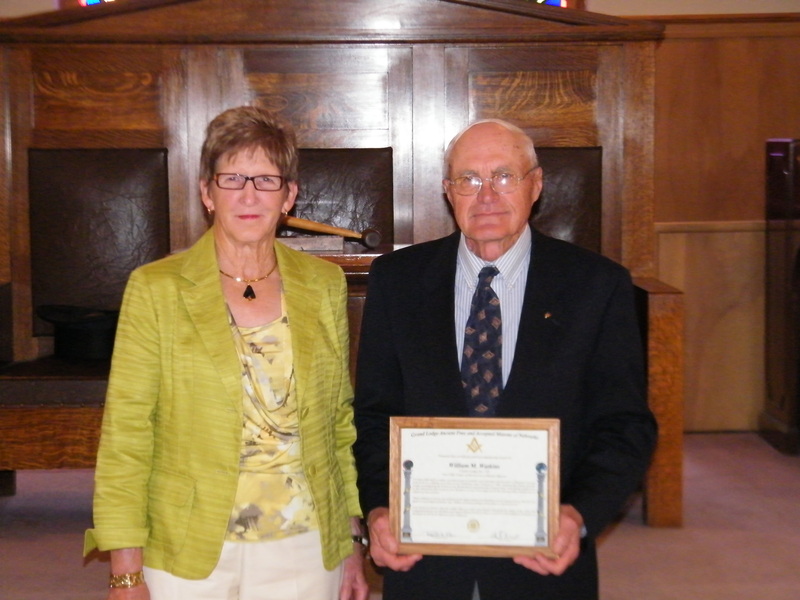 Grand Master John Maxell greets M.W. 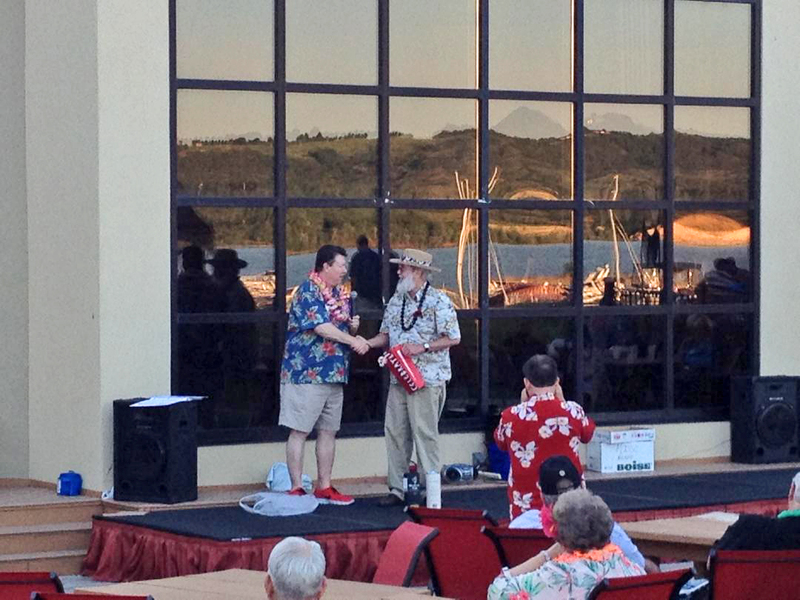 Doug McFarland, Grand Master of the Grand Lodge of South Dakota, at their Hawaiian themed Awards and Recognition Dinner in Oacoma, South Dakota. V.W. 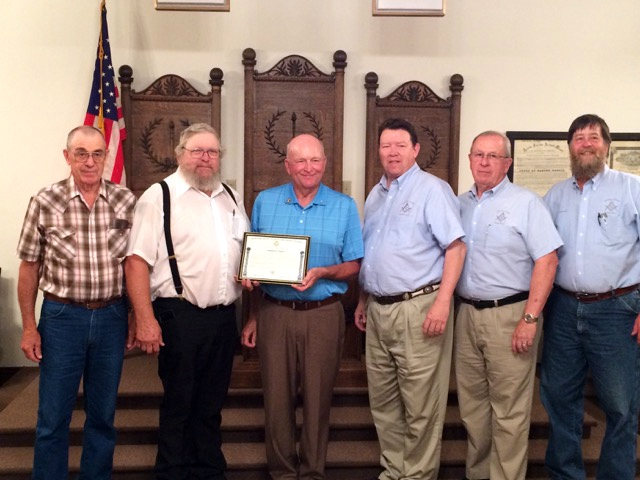 B. Kevin Lindly, Grand Chaplain, presented a 50 Year award and two 60 Year awards in Custer Lodge # 148 in Broken Bow this past Sunday, June 14, 2015. 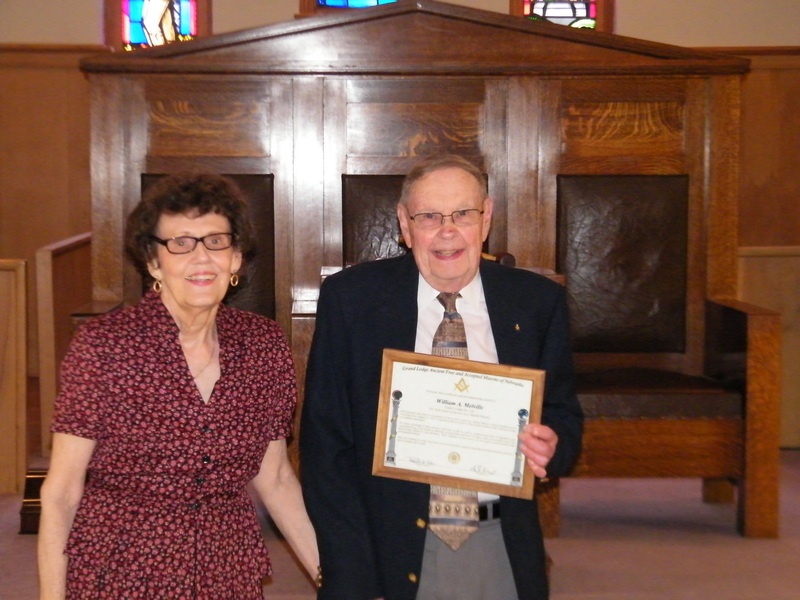 It was a touching moment when the proud son was able to present his father with his 60 Year award. M.W. 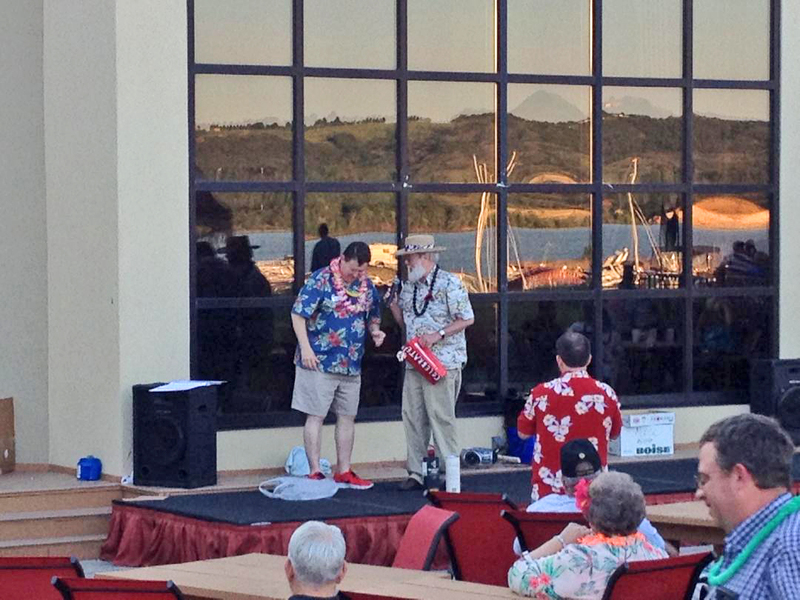 B. Joe McBride presented Leonard with the IMAA medal. The well attended event was filled with friends and family of the recipients. Cake and ice cream followed with an abundance of laughter, reminiscing and great conversation. 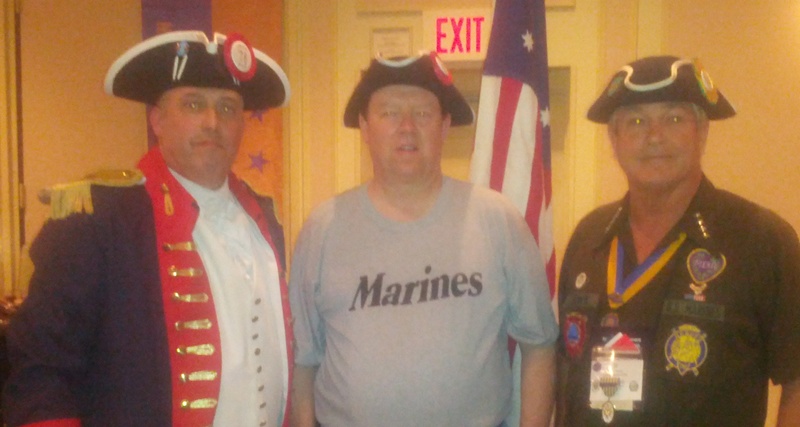 Shown is MW John Maxell who was initiated into the National Sojourners, Incorporated Heroes of ’76 Joseph Warren Camp during the 1-6 June 2015 Annual National Sojourners Convention. MW John survived many trips through the frigid D and passed the rigors of the initiation during the National Encampment hosted by Omaha Chapter #19’s Joseph Warren Camp. 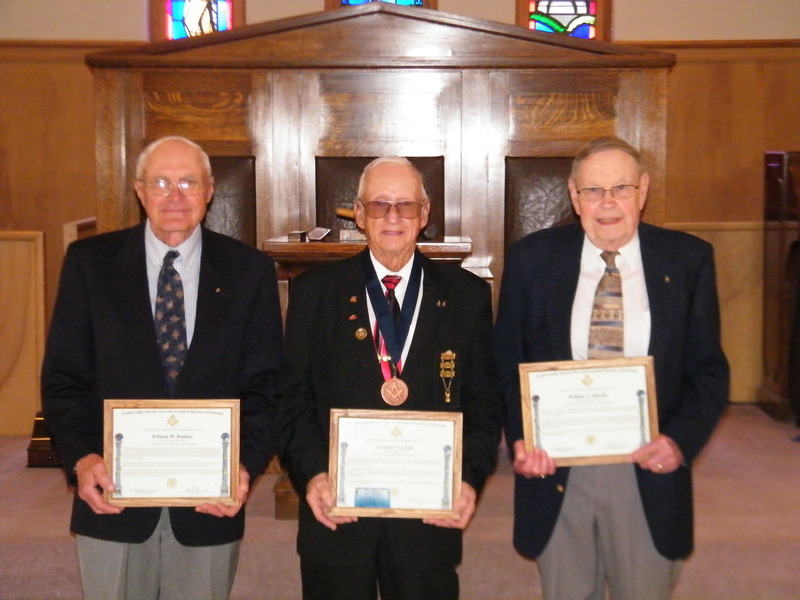 From left to right are WB Anthony T. “AJ” Johnson, twice Past Master of George W. Lininger Lodge #268, who was the Camp Commander for the initiation, MW John, and WB John J. “JJ” Brown the National Commander of the Heroes of ’76. Pictured is MW John T. Maxell bringing greetings on June 4th at the National Sojourners Annual National Convention Colonial Ladies at the Table Ceremony. 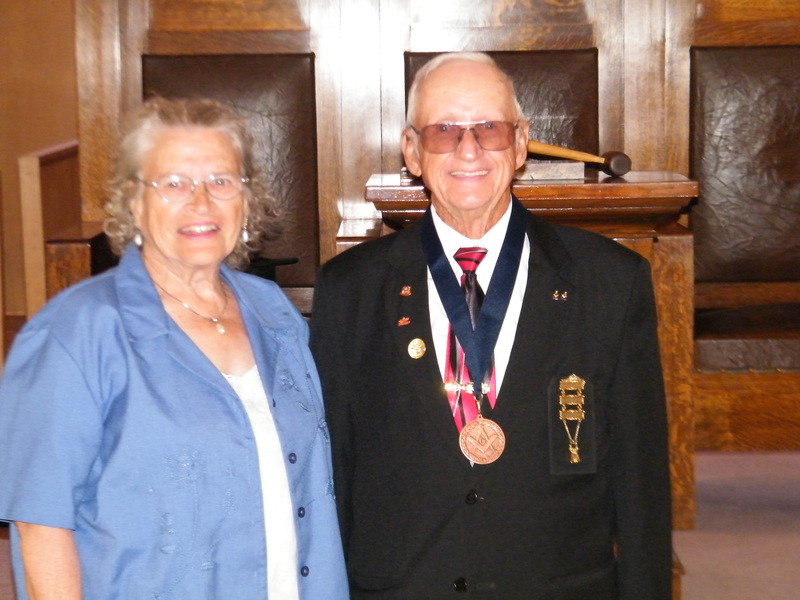 MW John is a member of Omaha Chapter #19 and was initiated into the National Sojourners Heroes of ’76 earlier in the day. 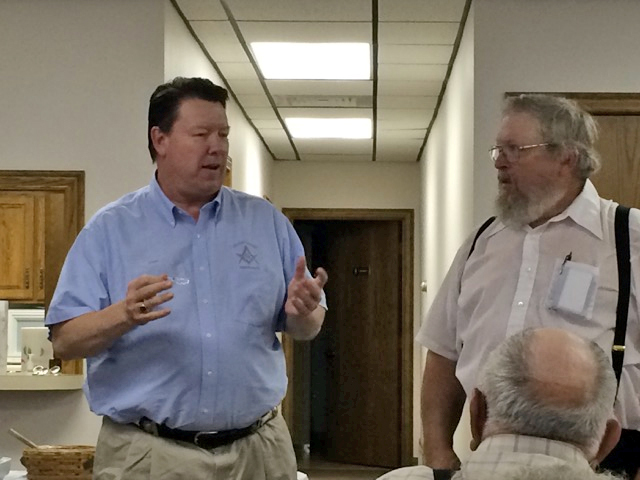 From left to right are Deb Maxell, MW John, and WB Ed Nolte who is Past National Commander of Heroes “76, 2nd Vice President National Sojourners, and Past Master of Papillion Lodge #39.